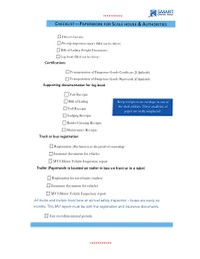 Heading to Canada's Great White North to drive truck or bus? 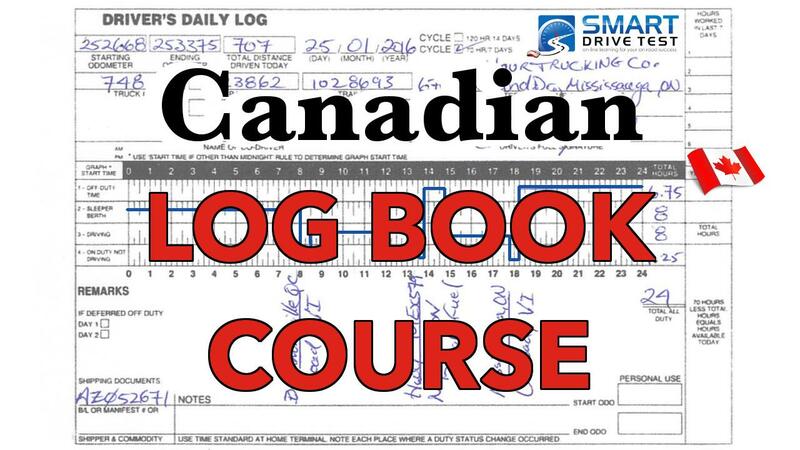 Learn how to maintain your log book here! 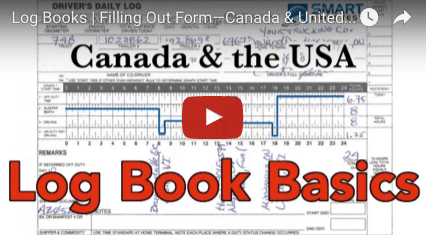 This is about your logbook and driving north of the 60° parallel in Canada. So north of the 60° parallel in Canada would be the Yukon, Nunavut, or the Northwest Territories. This is really for those people who are aspiring to be ice road truckers and get famous being on television. If you're driving a commercial vehicle, the hours for operating a commercial vehicle north of the 60° are much more liberal than what they are in the rest of Canada and this is really for people who are working long hours during the summer time. And for working on the ice roads in the winter time when the ice roads are only open for a certain period of time. 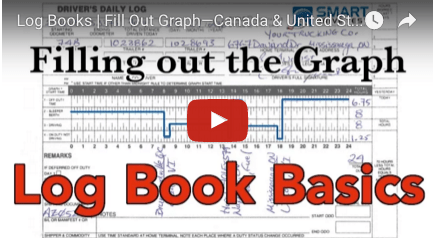 • and the other video on filling out the graph, and how to do that. The hours of driving in Nunavut, Northwest Territories, and Yukon - you could drive for a maximum of 15 hours. And that fifteen hours of driving must occur in an 18 hour window. So you cannot drive or work after 18 hours and you must take eight consecutive hours off duty. So the off-duty time has been reduced as well by two hours. And the work cycle has been increased to 80 hours in 7 days. So you can work more; for the rest of Canada, it's seventy hours in 7 days; north of the 60° your work cycle is 80 hours in seven days. And it's still a rolling cycle. It's the same way to figure out your cycle - it's just 80 hours in 7 days as opposed to 70 hours in seven days. And you can find the video here for figuring out your work cycle - right here! You can work longer hours north of the 60° in Canada and Yukon and Nunavut and the Northwest Territories and one thing I'm gonna say about the longer work hours north of the 60° in Canada. If you work three or four days in a row where you working fifteen hours driving time and 18 hours on-duty - after three or four days I can tell you right now with an eight hour break you are going to be very beat up! So just keep that in mind if you start running these longer hours that you need to sort of pace yourself, because you can't do this for very long without burnout. In conclusion, commercial drivers running north of the 60° in Nunavut, Northwest Territories, and the Yukon can run more hours than the rest of Canada. And this is to accommodate the shorter summers, the longer daylight hours in shorter summers. 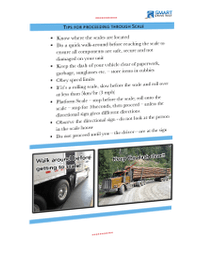 And for those people working on the ice roads, and other industries in the winter time that require long hours operating commercial vehicles. North of the 60° you can run 15 hours of driving. Your 15 hours driving must occur with an 18 hour window. If you're on-duty and driving for a maximum of 18 hours you must have 8-consecutive hours off-duty before returning to another work cycle. The work cycle is also longer - cycle #1 - 80 hours in seven days. So all of the work hours are longer in the Northwest Territories. If you like what you saw here the complete course can be found here. • exercises for log books. There's two exercises for both the American course and the Canadian course. Canadians running into the United States you're gonna have to take United States course. Because if you're running Stateside on a regular basis you gotta stay on American rules. • true false questions, multiple choice questions related to the exercises. 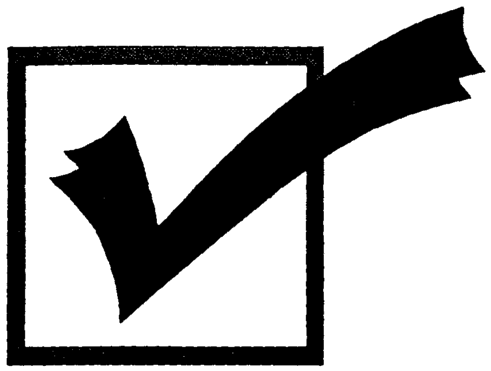 • And there's a free work cycle calculator for both the United States and for Canada depending on which cycle you working on - Cycle #1 or cycle #2. In Canada, stay on cycle #1.